As mentioned in the blow off valve article, it was important to find it, and a wastegate capable of competing with the big name brands, without paying big prices. 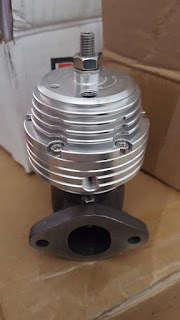 A really nice Wyntonm BOV was purchased for a fraction of the big brand cost but it was doubtful a similar deal could be found on an external wastegate. The wastegate is mounted between between the exhaust ports on the cylinder head and the inlet port on the turbocharger. As the exhaust gasses leave your engine they build up in the manifold as they enter the turbo. 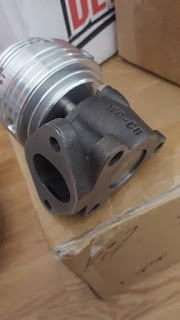 If the exhaust pressure in the manifold exceeds the desired amount of boost, the wastegate opens and allows the exhaust to bypass the turbocharger and leave the vehicle through the exhaust pipe/muffler. After literally days of researching, the brand SPA Turbo was identified as a solid company that does their own R&D and manufacturing in Brazil. Brazil is well known by those in the inline forums as Brazil has an active inline 6 drag racing community. 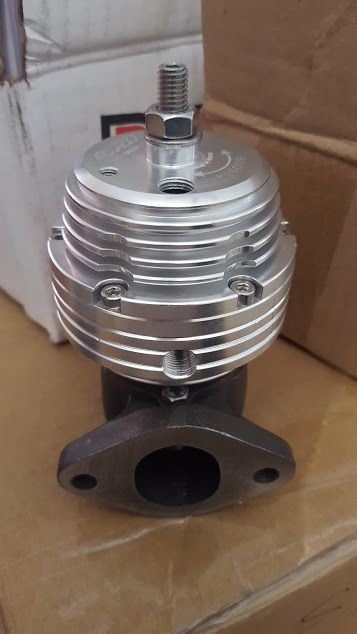 A SPA Turbo compact 35mm stainless steel wastegate was purchased off eBay for $65US. Upon receipt of the wastegate it looked really good. A solid piece that was exactly as described. The only real downside to the part is the inlet flange. 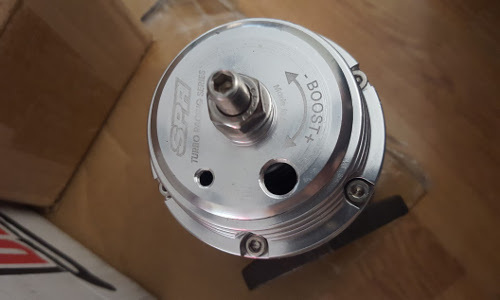 The flange on this model is proprietary and they call it a 3 bolt "S" flange. The same "S" flange can be found on SPA Turbo exhaust manifolds. You can buy individual "S" flanges separately and use it to make a custom mounting plate or pipe. You could trade the hassle of the flange for a more common 2 bolt version but they are near 3 times the price. Updates will be added here once the final install and testing of this item has been done. A video review of this part is planned for 2016.